Ask anyone in an emergency room if they planned to be there and of course they will say “no.” Ask anyone waiting for treatment what they would do to prevent their injury and they will respond “almost anything.” Most broken bones or damaged parts will heal and with luck be as good as new. Not so with eyes. Virtually every eye injury leaves the victim permanently disabled. Permanent sight loss from sport’s eye injuries is almost entirely preventable. 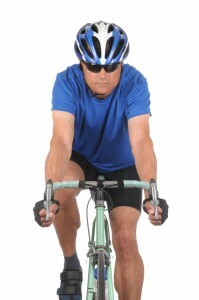 At Parrelli Optical® we are committed to reducing sports related eye injuries. We offer an extensive selection of sports eyegear to protect your sight and a myriad of lens colors to enhance your performance. Protecting your eyes is only half the story. Research proves that the right vision correction can improve your performance. To learn more: Enhance Sports Performance. See the professionals at Parrelli Optical® to try on sports eyegear and take the risk of eye injury out of your game plan.